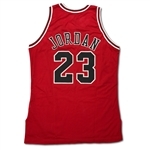 During the 1995-96 Season Jordan was on the road to his 4th NBA Title, 4th MVP Season and his 8th Scoring Title averaging over 30 points per contest as the Bulls won a whopping 72 games and became arguably the greatest team in sports history! 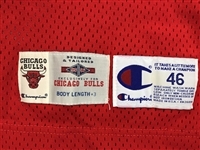 On the front left tail is a “Champion” size “46” manufacturer’s tag with washing instructions. 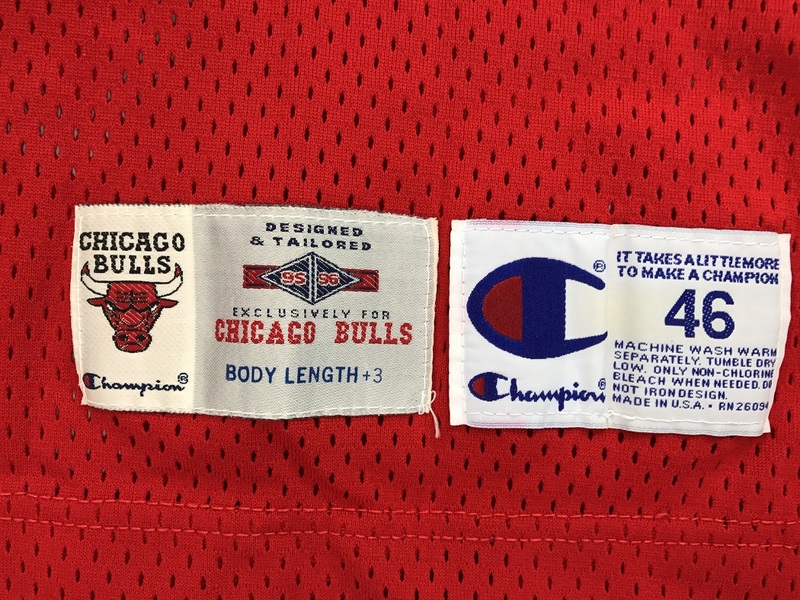 Adjacent is a “Champion” distributor’s tag that reads, “DESIGNED & TAILORED 95-96 EXCLUSIVELY FOR CHICAGO BULLS BODY LENGTH + 3”. On the left inseam is a tag that reads, “100% NYLON, 100% POLYESTER”. 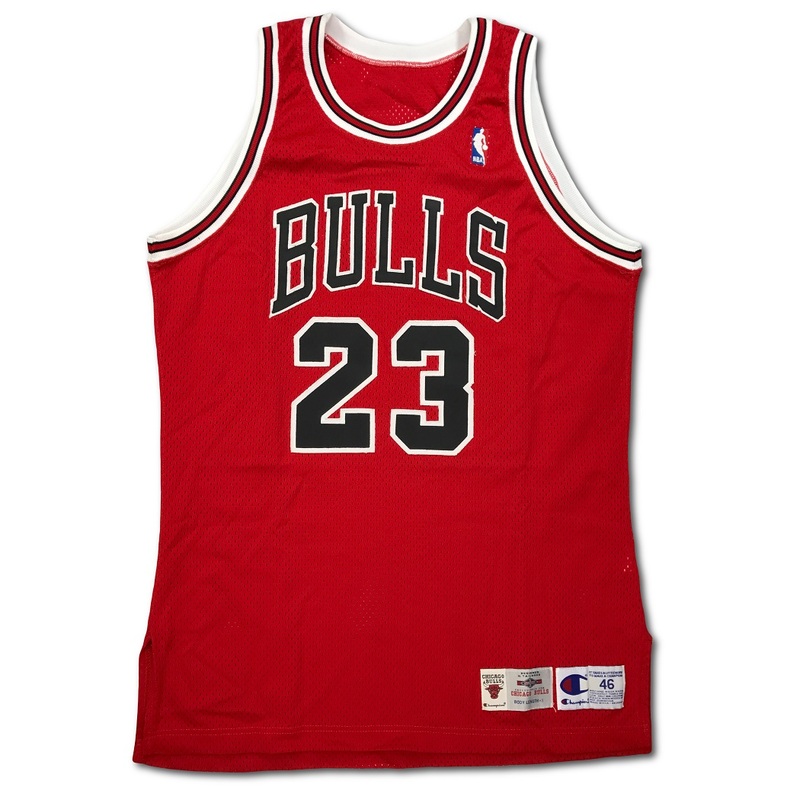 On the left chest is the official “NBA” logo embroidered. 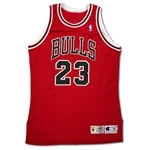 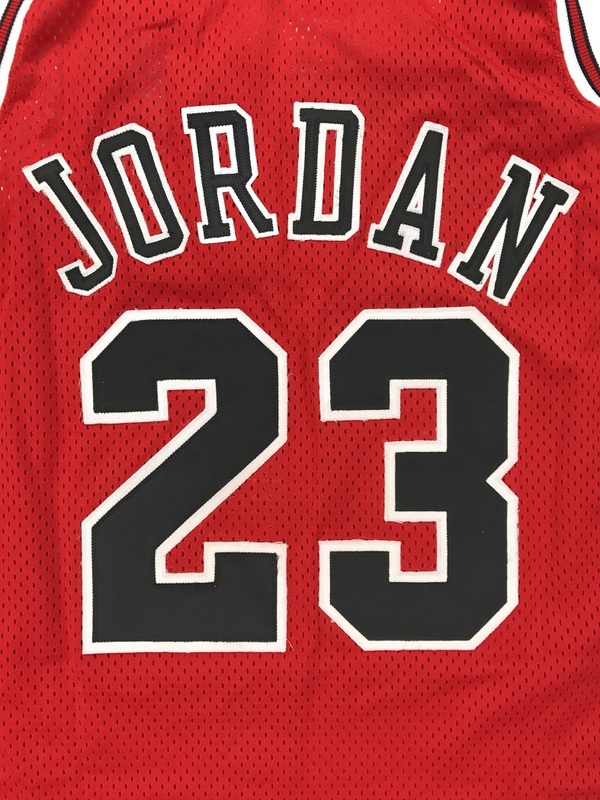 Across the chest reads “BULLS”, the player number “23” appears on both the front and on the back and across the back reads the player name, “JORDAN”. 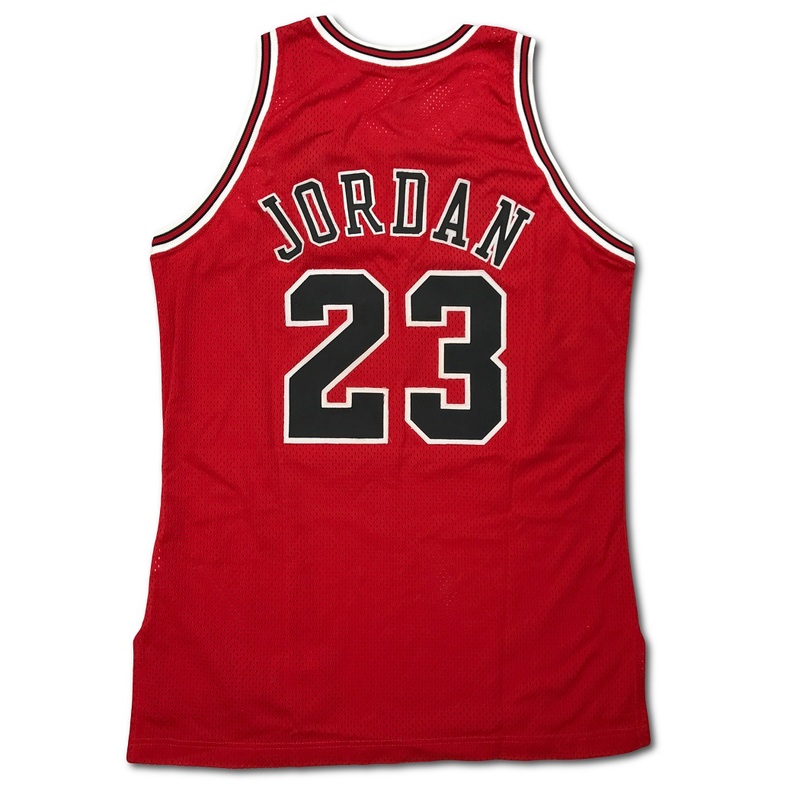 All numbering and lettering are done in black on white tackle twill sewn directly onto the red mesh jersey. 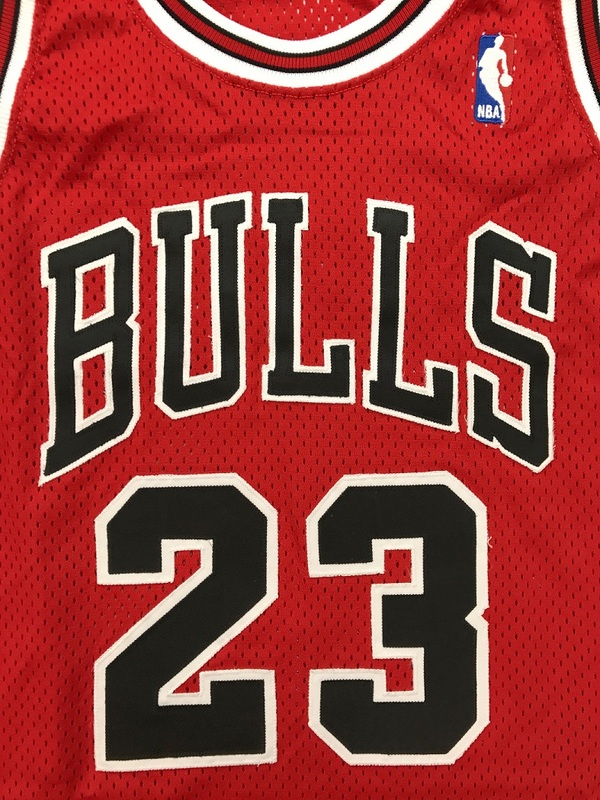 This jersey is properly tagged, was presented to us as game-used and in our opinion shows appropriate use with signs of wash wear including loose threads, light fraying and slight puckering of the numbers. 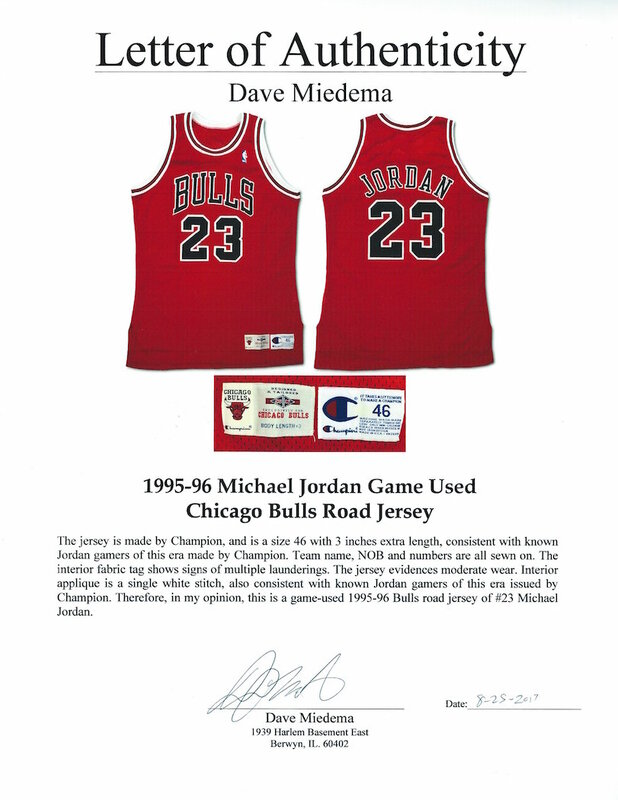 Accompanied by an LOA from Game Used Expert Dave Meidema.